Daido Moriyama is currently exhibited at Foam (Fotografiemuseum Amsterdam, until August 23). Those who are a little bit into Japanese photography will know his work. Daido Moriyama is one of the most important photographers of the 20th century and IMHO his book “Farwell Photography” (1972) is more radical than any western photography book of the beginning 1970s. At the moment I am waiting for a new reprint of “Farwell Photography” and I will write more about it after it has arrived from Japan. Moriyama is one of the most important Japanese artists in the medium today. His work has had an enormous influence on the development of modern photography. This exhibition at Foam presents prints of pictures taken in the 1960s, ’70s and ’80s, including photos from famous books such as ‘Farewell Photography’, ‘Light and Shadow’ and ‘Platform’. Most of the pictures shown are vintage prints. Daido Moriyama (b. 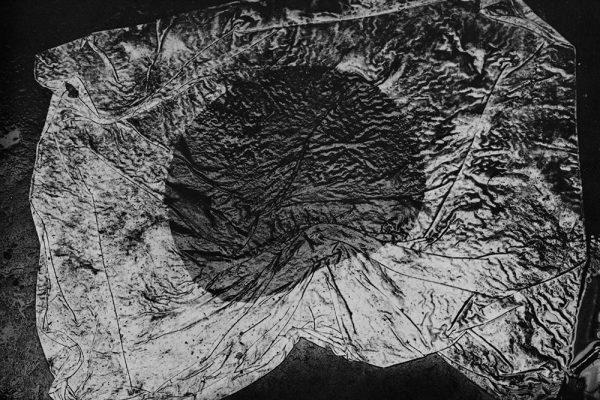 1938, Osaka) began photographing at the age of 21. After moving to Tokyo he worked for a while with the eminent photographer Eikoh Hosoe. In 1963 he set up as a freelance photographer and began his extensive and now legendary oeuvre, which continues to expand to this day. Moriyama generally takes his photos with a compact 35mm camera on the streets Japan’s principal cities. The images betray the speed at which they are made. 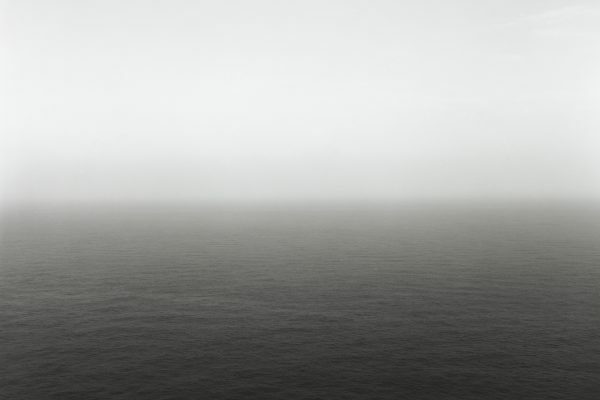 Often the horizon is crooked and the photo is blurred, or the grain is visible and the contrast is turned too far. His subjects range from underexposed, obscure bars to strip clubs and dark alleys. He seems to be interested more in the suggestion of form than in a clear, well delineated figure. His visual idiom is rough and ready, and he often directs the lens at details that are out of context thereby evoking a fragmented and stifling atmosphere. Moriyama’s visual idiom is rooted in the 1960s. Those years represent a crucial period in Japan’s modern history. This was a time when the world began to forgot about the Second World War and a postwar generation of artists arose in Japan that focused on the contradictions in Japanese society. For while Japan experienced a period of unprecedented economic growth, Japanese society was also plagued by a profound sense of guilt, shame and fear. I just saw that Taka Ishii Gallery, Tokyo, shows a short film by Daido Moriyama “shinjuku 1973, 25pm” (until Aug. 26). The film is a premiere and hopefully I will be able to see it in the near future. This film was originally shot in 1973 with an 8mm portable VTR, by the request of Shinjuku Ward for promotion of the city. However, the completed film was rejected by Shinjuku Ward because it was a sequence of unidentified images in which one cannot identify the country in which it was shot. Thus the film was shelved for over 30 years. 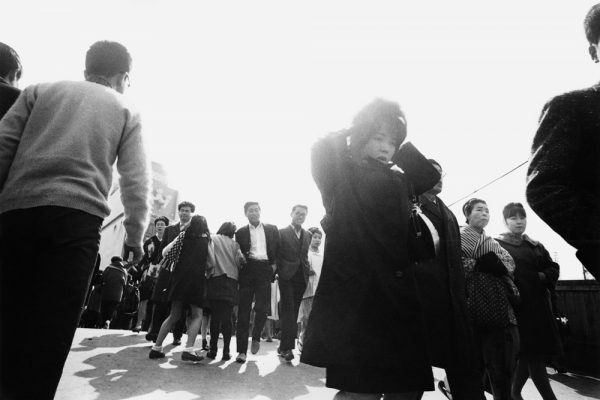 The “Blurs / flows / rough images,” which are characteristic of Moriyama’s photography, obviously appear in this film. The screen sways as if in the wind, the night town a trace of light that comes and goes, the camera tracing a monochrome world which is situated somewhere between the border of figuration and abstraction. On the occasion of screening the film, we will exhibit new photographic stills which Moriyama shot from the rediscovered film. The repetition inherent in this project serves as further evidence of Moriyama’s continuing concern with the act of copying.